Screens Unlimited adheres to a strict code of ethics in all business matters, and we place customer satisfaction as our top priority. Screens Unlimited is active in working on solutions for greater energy efficiency through new construction building and retrofitting many areas of the building to reduce solar heat gain and increase overall comfort of the living spaces. Screens Unlimited installations of their sun screen products is a key element in a continued effort of green building and the cost savings that comes with it. Certainly, if people knew of the savings in their monthly electric bills, the extended life of their a/c system, as well as enhanced comfort of their living space, it would become a standard in Arizona homes to install sunscreens. There is also terrific energy savings in commercial applications of sun shading. Arizonians routinely place emphasis on the heat reducing factors of tinted windows or window film; however the truth is that once the sunlight hits the glass, it’s too late. Solar Heat Gain will increase the temperature of the home dramatically – and will keep it there well into the evening hours. Truth is known…installing window tint or window film will void the window manufacturers’ warranty of insulated or dual pane glass in the majority of cases. 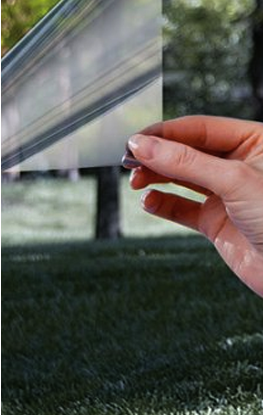 With solar sunscreens the sun’s heat is stopped before it hits the glass. Most of the sun’s heat and rays is deflected and dissipated before it has a chance to hit the glass and radiate into your home. With all of the Screens Unlimited screen products and sunscreen applications, you can still see outside very well, and you have the added benefit of enhanced privacy. With Screens Unlimited solar window screens installed, from the outside, you cannot see into the home due to the light differential. In western states like Arizona, many utility companies offer rebates and incentives to consumers for the installation of solar screens, and other utility companies simply offer an overall rate reduction for the installation of solar sun screens. 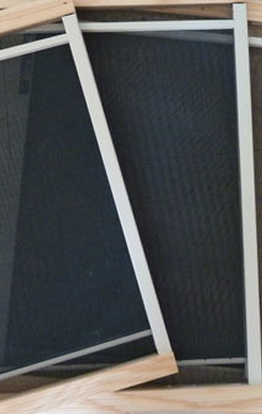 SRP currently offers up to $0.80 per square foot rebate just for having Screens Unlimited install shade screens. The cost of installing solar window screens is relatively meager considering that it is estimated that one would recoup their initial expense of sunscreens in just two years (or less) of use and in four years should double their money back! Return on Investment is incredible due to energy saving solar window sun shades by Screens Unlimited.